You've come to the right place if you'd like to settle a dispute without litigation. An Arbitration / Alternative Dispute Resolution (ADR) lawyer uses out-of-court processes like arbitration, mediation or mini-trials to resolve disputes. 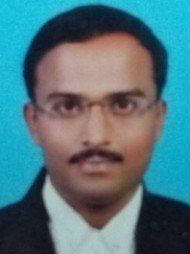 Use LawRato to find a top rated mediation lawyer in Chikkaballapur for ICC Arbitrations, to initiate or respond to any Arbitral Proceedings and for Alternate Dispute Resolution (ADR).